Do you, or anyone you know, have a vision impairment, that is, an eye condition that cannot be corrected by glasses? Have you ever received services from the Blind Foundation? If no, is there a reason you have not used the Blind Foundation services? Has someone you know used the Blind Foundation services? What first inspired you to support the Blind Foundation? The following two questions may appear very similar. In the first question, we want to know how important something is to you. In the other, how satisfied you are. For each of the statements below, please rate how important each is with regard to your support for the Blind Foundation. For each of the statements below, please rate how satisfied you are with the way the Blind Foundation addresses this for you. If a friend or loved one was looking to make a donation to a charity and asked for your advice, how likely would you be to recommend the Blind Foundation as an organisation worth supporting? On a scale of 1 to 10, please indicate how much you agree with each statement. Leaving a gift to the Blind Foundation in your Will can have a lasting impact for New Zealanders who are blind or have low vision. Would you consider including the Blind Foundation in your Will, after you’ve made provisions for your own family and loved ones? You are a valuable part of our community, and we want to reach out to more kind people like you who might be interested in supporting the Blind Foundation. To do so, we’d like to find out a little bit more about you. It is important for us to share stories to encourage others to use our services or to raise the funds needed to provide our services. 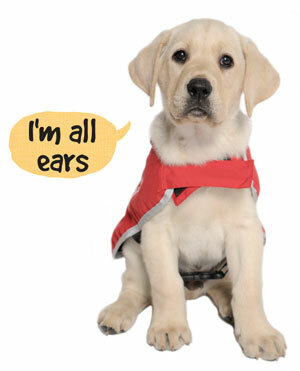 At times we like to share stories about why our supporters donate to the Blind Foundation. Would you be willing to share your story with us?